Download the firmware image from here. MD5 checksum: e2f1bb281dd9f78cd603faf515491548. A TFTP server. You can use PumpKIN if you don’t have a favorite one. Download the appropriate binary for your operating system. The steps (using Windows as example below). 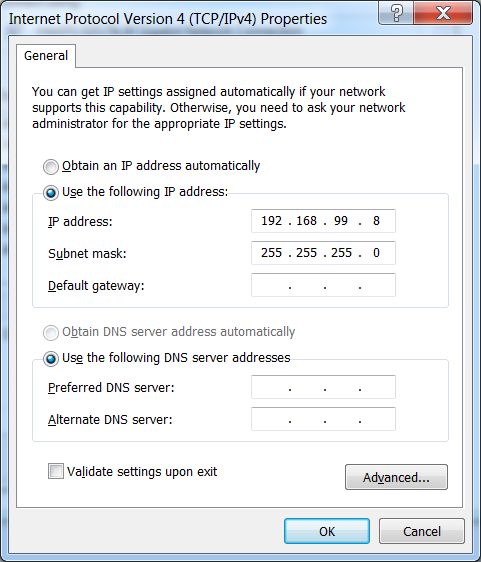 Configure your Ethernet address: open Windows network center, click “Change adapter settings”. Find the Ethernet adapter and change the IP v4 properties. Set the IP address to 192.168.99.8 and subnet mask to 255.255.255.0. 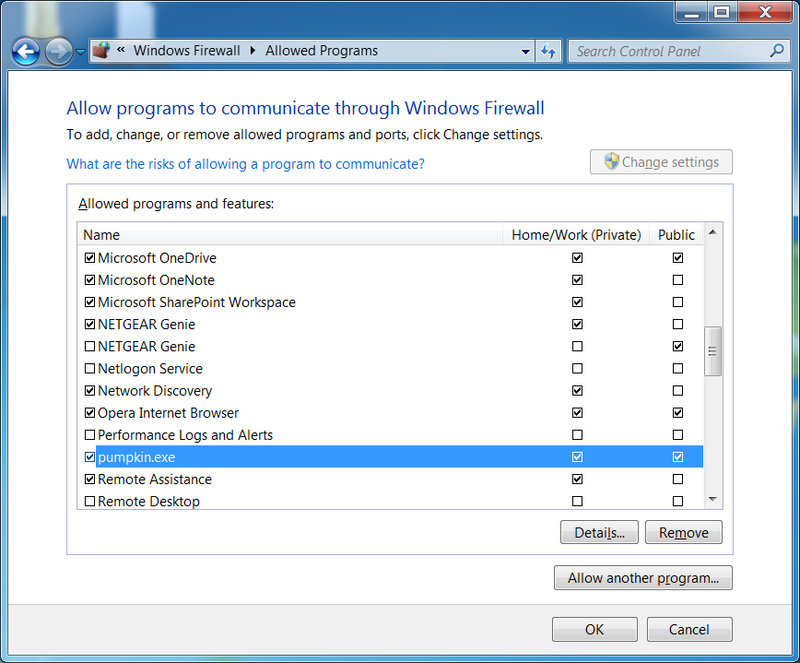 Configure Windows firewall: make sure Windows firewall allows PumpKIN through. Start PumpKIN, make sure “Server is running” is checked at the lower right corner. 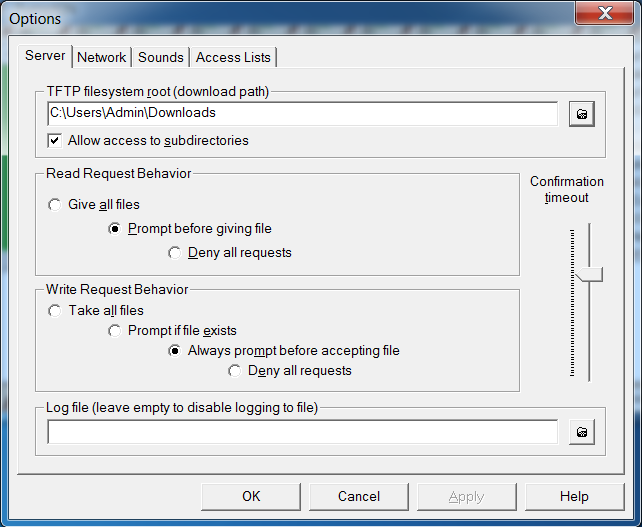 Set PumpKIN TFTP download path. Assume that you downloaded the firmware binary to the “Downloads” folder, then set the PumpKIN download path to the same folder. 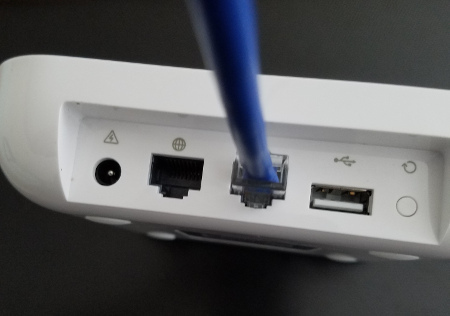 Connect your computer to the LAN port on the Torch router. Press and hold the Reset button on the Torch router (you may need to use a pin), then connect the power cable. Keep holding the Reset button for about 5 seconds, then let go. The Torch router will try to download firmware from your PC. You’ll see a prompt for you to grant the download in PumpKIN. Click Grant Access. Wait for about 5 minutes. If you can see the pcwrt and pcwrt_5g WiFi signals, then you’ve successfully flashed the router! I can confirm that this works!!!!!! Glad we could help. And thanks for writing up your own experience! Works well! I really appreciate it! So far the only think I’ve run into is a message stating that parental controls are not supported on this router. I’m also unable to configure a guest network. Bug? Guest network should work. What’s your error? If you are familiar with OpenWrt, you may use the Luci interface to configure the router as an AP. The URL is: http://192.168.10.1/cgi-bin/luci. 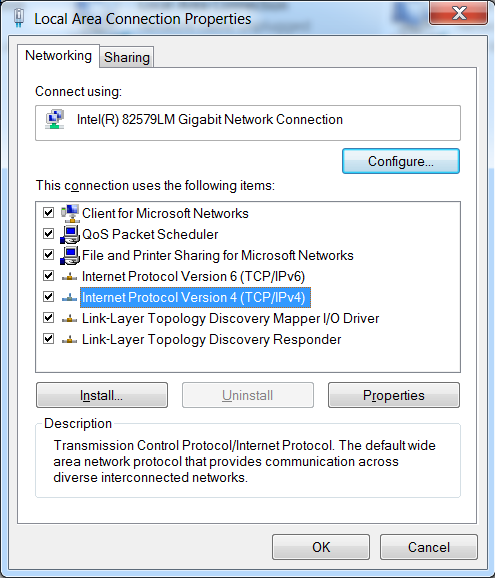 Change the router IP accordingly if you changed the LAN IP for the router. I know this is an old string but does anyone have tips on how to do this via a Mac? Thought I could work it out and it appears that Pumpkin’s putting the bin file onto the router but it’s not flashing it for whatever reason… strange. Thought? Thanks. Just followed the instructions above for my Mac, and was successful in resetting it! I’m not familiar with PCWRT, so I’m now digging around for how to configure my old Torch router. Guest wifi does work but it’s only the 5Ghz network. It should work for both bands. You need to click the 2.4GHz link to see the 2.4GHz settings. I successfully flashed my Torch router with PCWRT, however, both on WiFi as well as a wired connection, the maximum download speed is 2.5mbps. When I connect directly from my modem to PC I get a consistent 135mbps. Is this normal because it is an alternative firmware? Any suggestions on what I should do to fix this issue? It’s not normal. The router should be able to deliver close to 1 Gbps wired, if your Internet speed is that high. You may try an isolated test with iperf, or hook it up to a different network and test. I re-flashed the router; it is now running at a normal capacity. Not sure why it worked this time, but I’ll take it! Thanks! canman how did you flash it, I am running into issues, even after flashing, it still shows WIFI has Torch-002-FOK, so it did not take PCWRT. Once the firmware is updated to pc-wrt, are further firmware updates supported? We will not be updating the firmware. That’ll be the last revision on this hardware unless someone takes it over in OpenWrt.